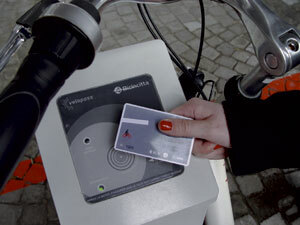 Chicago is set to roll out the first phase of its new bicycle sharing program, according to NBC Chicago. The new system, Chicago B-cycle, allows residents to rent bikes by the hour at various stations throughout the city using a credit card or contactless membership card. According to NBC, similar systems are already operating in Denver and Minneapolis. The first phase of the project will see 100 bicycles stocked at six B-stations around the city. The goal is to eventually expand beyond downtown and into the city’s other neighborhoods, says Mayor Richard Daley. B-cycle is a joint venture between Trek Bikes, Humana Health Care and the advertising agency Crispin Porter + Bogusky, according to NBC Chicago.